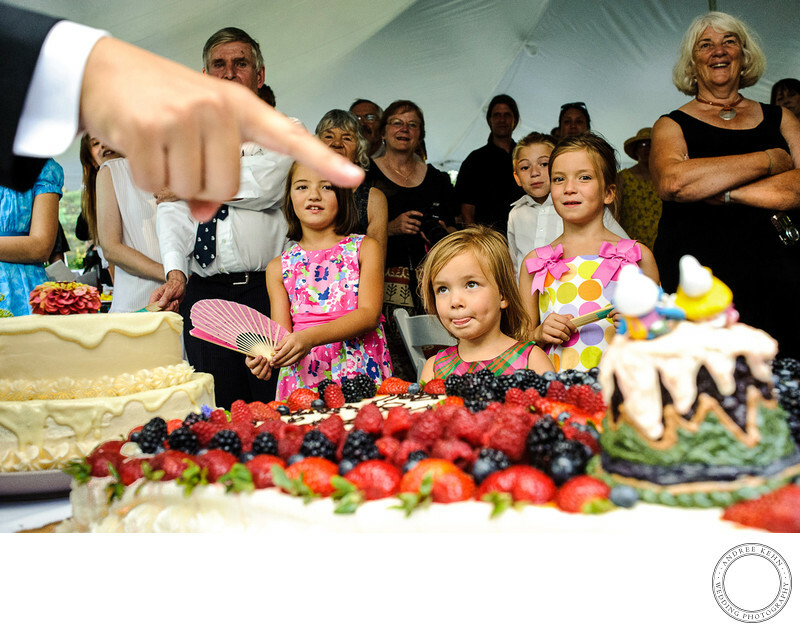 This award winning photo of the wedding cake won a prize from the Wedding Photojournalist Association (WPJA) in their category ids Being Kids. I adore it because the kids are obviously waiting instructions on what must happen before they can sink their teeth into the incredible kids cake, with a riot of fresh fruit and Smurfs. The finger pointing in, lie the finger of God, gives this quirky wedding photo even more humor. 1/125; f/7.1; ISO 3200; 35.0 mm.